When Sandy from PA To Go asked me to redo her website, 4 years on from when I originally made her first website, I was dead excited! In those 4 years websites have come on so much. Sandy gave me free rein to completely change and update her site, we went from a smart dark multi-page website to a white 1 page site, to give a new refreshing, friendly look and feel still using accents of colour from her logo. 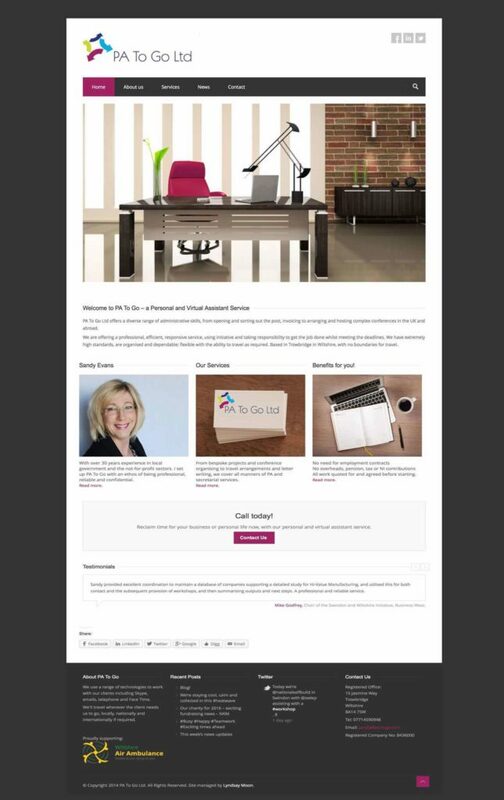 See her new website and old below..
Lyndsay is a pleasure to work with, always taking the time to understand your business and what you want from your website. Extremely patient whilst having to make all the minor changes we made to our words and layout. 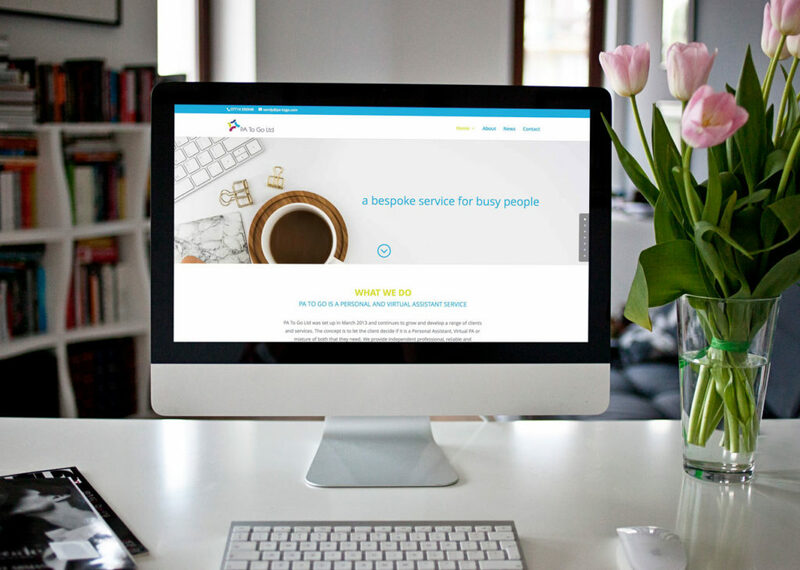 Would highly recommend, this is the second website Lyndsay has created for our business.